Zambia is located in southern Africa. Zambia is bordered by Tanzania and the Democratic Republic of the Congo to the north, Angola to the east, Namibia and Zimbabwe to the south, and Mozambique and Malawi to the east. 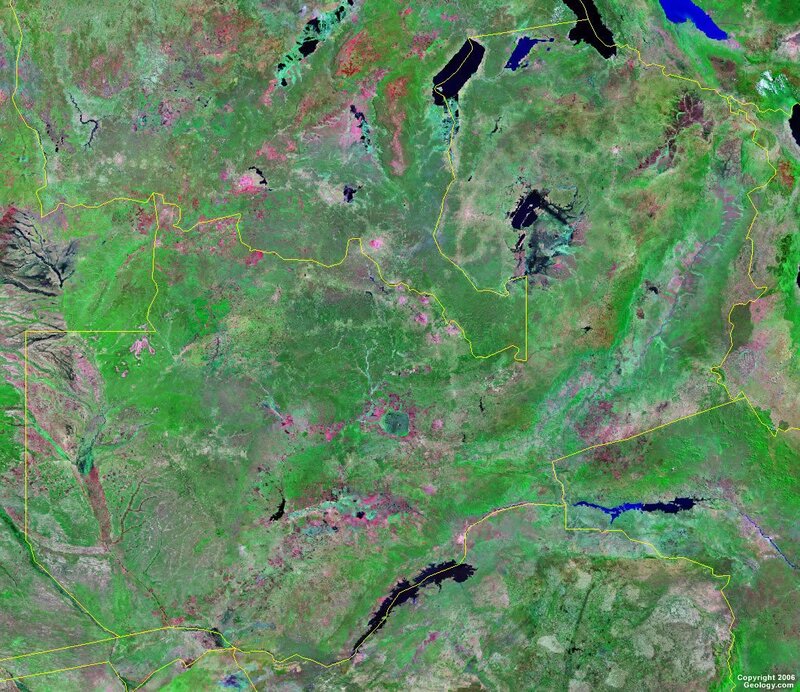 Google Earth is a free program from Google that allows you to explore satellite images showing the cities and landscapes of Zambia and all of Africa in fantastic detail. It works on your desktop computer, tablet, or mobile phone. The images in many areas are detailed enough that you can see houses, vehicles and even people on a city street. Google Earth is free and easy-to-use. Zambia is one of nearly 200 countries illustrated on our Blue Ocean Laminated Map of the World. This map shows a combination of political and physical features. It includes country boundaries, major cities, major mountains in shaded relief, ocean depth in blue color gradient, along with many other features. This is a great map for students, schools, offices and anywhere that a nice map of the world is needed for education, display or decor. 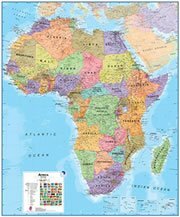 If you are interested in Zambia and the geography of Africa our large laminated map of Africa might be just what you need. It is a large political map of Africa that also shows many of the continent's physical features in color or shaded relief. Major lakes, rivers,cities, roads, country boundaries, coastlines and surrounding islands are all shown on the map. Chingola, Chinsali, Chipata, Choma, Kabwe (Broken Hill), Kafue, Kalomo, Kalulushi, Kapiri Mposhi, Kasama, Kitwe, Livingstone, Luanshya, Lundazi, Lusaka, Mansa, Mazabuka, Mbala (Abercorn), Mkushi, Mongu, Monze, Mpika, Mporokoso, Mufulira, Mumbwa, Mwinilunga, Nchelenge, Ndola, Nyimba, Senanga, Solwezi and Zambezi. Kafue River, Lake Bangweulu, Lake Chifungwe, Lake Itezhi-Tezhi, Lake Kampolombo, Lake Kariba, Lake Mweru, Lake Tanganyika, Luangwa River, Luapula River, Lukanga Swamp, Muchinga Mountains and Zambezi River. Zambia has a number of metal resources, which include copper, cobalt, lead, gold, silver, uranium and zinc. Various other natural resources for the country include coal, emeralds and hydropower. Zambia experiences tropical storms from November to April. The country has other natural hazards which include periodic droughts. Zambia has numerous environmental issues. There is air pollution and the resulting acid rain in the regions of refining and mineral extraction. This, in turn, causes a chemical runoff into the watersheds. In addition, the lack of adequate water treatment, presents risks to human health. The land issues include deforestation, soil erosion, and desertification. Poaching in Zambia is seriously threatening the rhinoceros, elephant, antelope, and large cat populations.